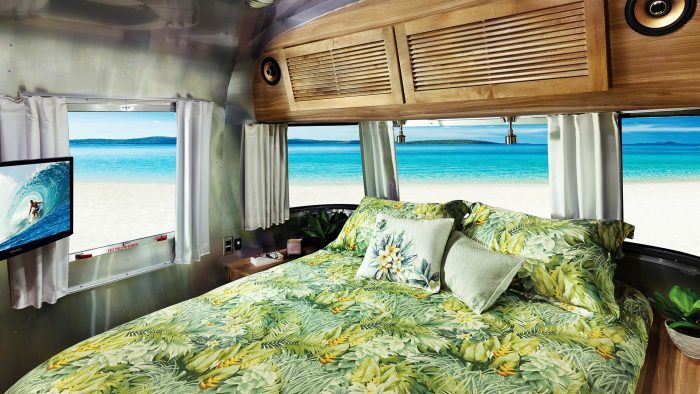 If beach style makes you feel instantly more relaxed, you’ll find a kindred spirit in the Airstream Tommy Bahama Relax Edition Travel Trailer. 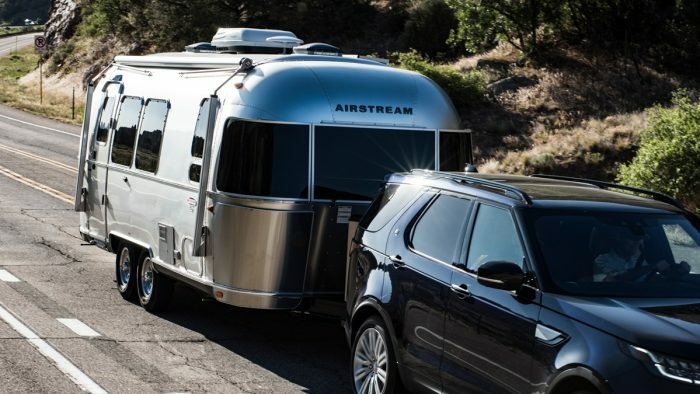 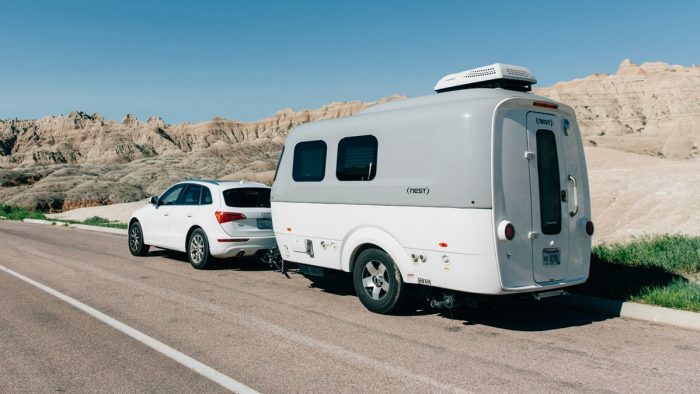 Two brands that are committed to living the good life come together in a trailer that feels as inviting and easygoing as it does luxurious. 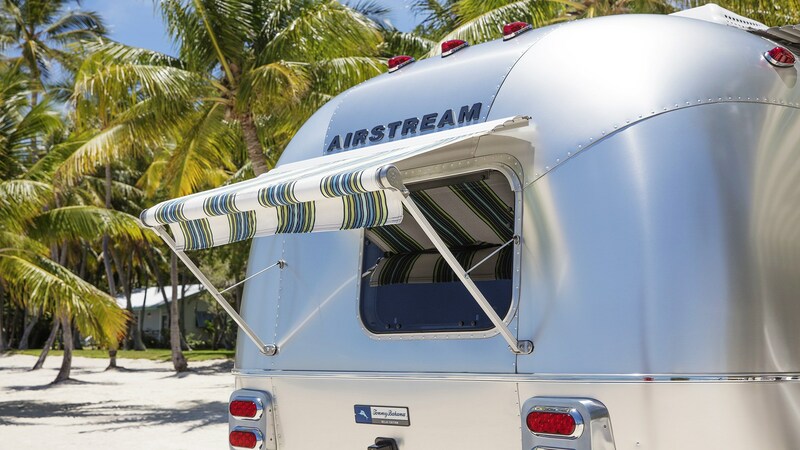 Take the beach vibes with you, no matter where you’re headed. 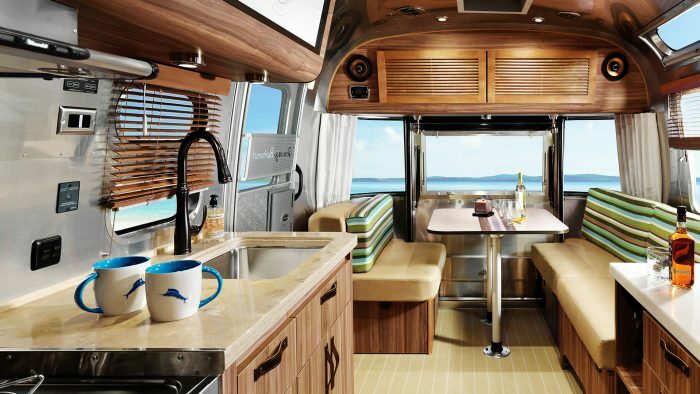 The spacious 27FB floor plan includes a rear hatch and plenty of space to spread out or invite the party inside. 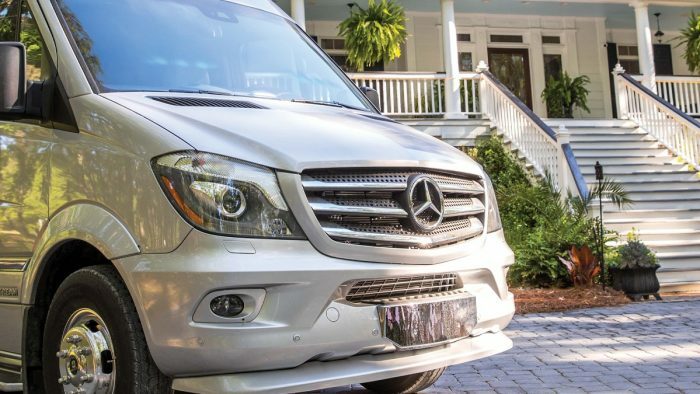 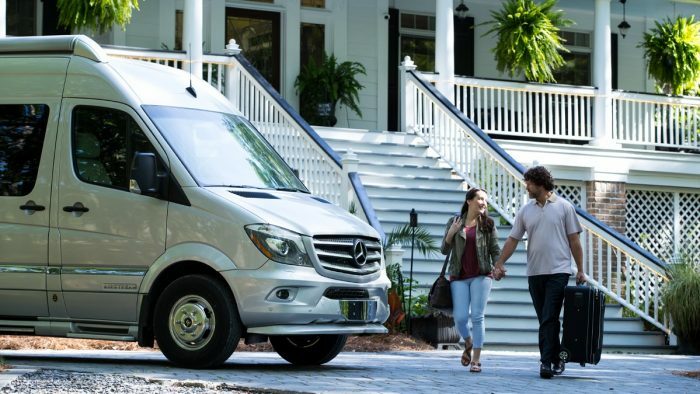 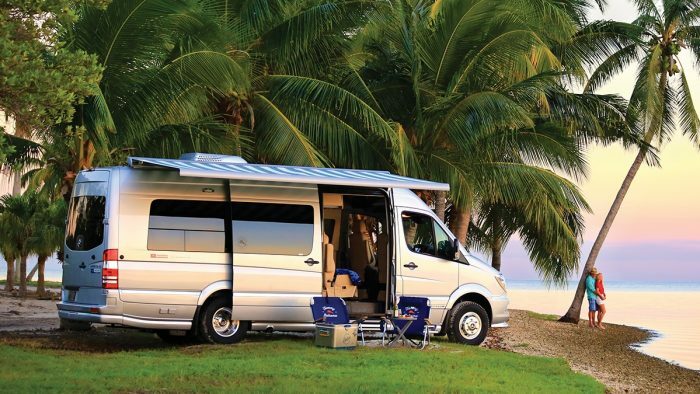 The 19CB floor plan is compact, easy to tow, and ready to take the party anywhere. 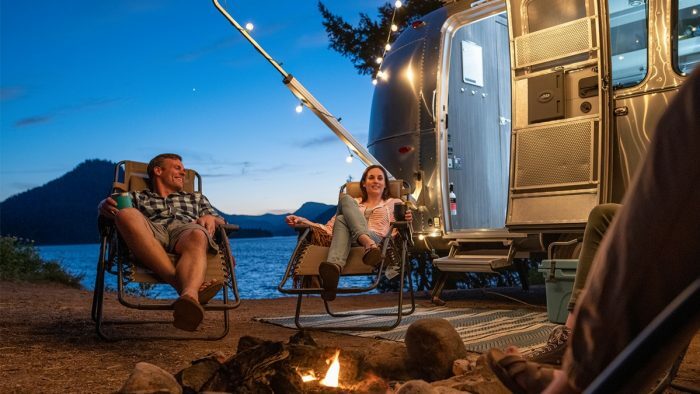 Explore them both and choose your perfect fit. 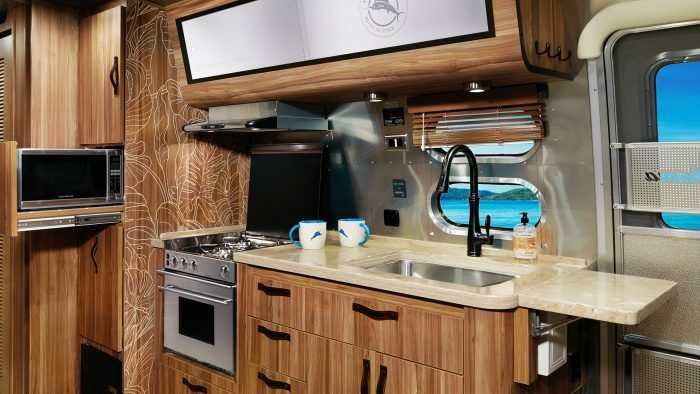 Tour the Tommy Bahama 27FB Floor Plan and see the easygoing design choices and special features exclusive to the Relax Edition. 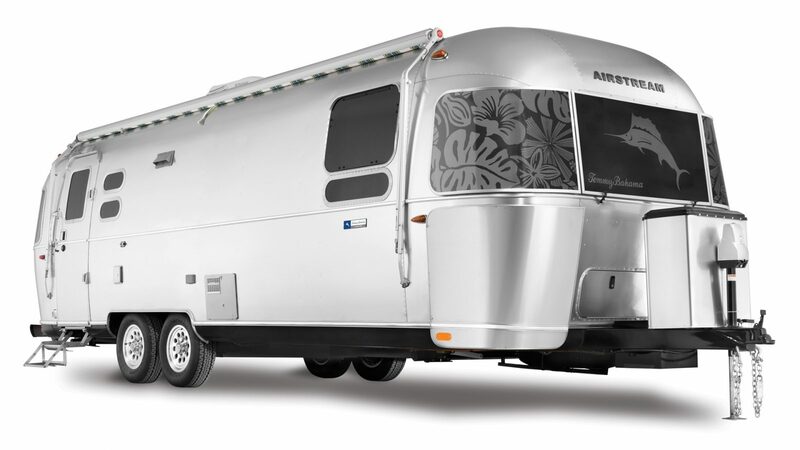 The Relax Edition brings Tommy Bahama beach style and Airstream classic design and quality together beautifully. 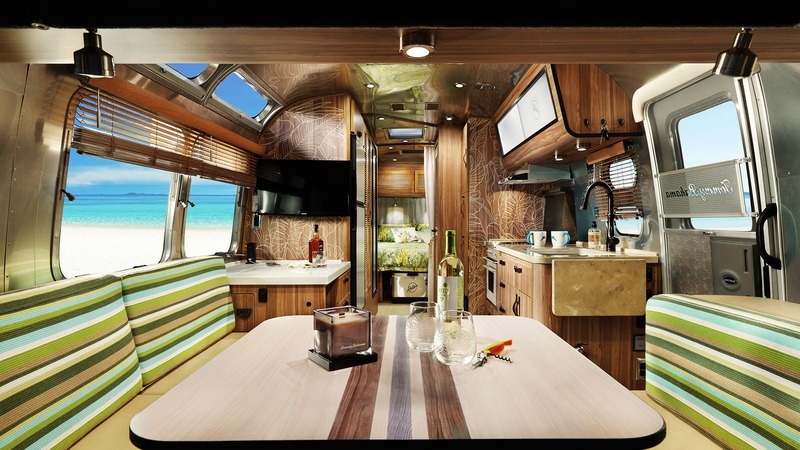 Warm wood cabinetry is handcrafted to fit inside the iconic aluminum shell. Natural textures live right alongside high-end technology and appliances. 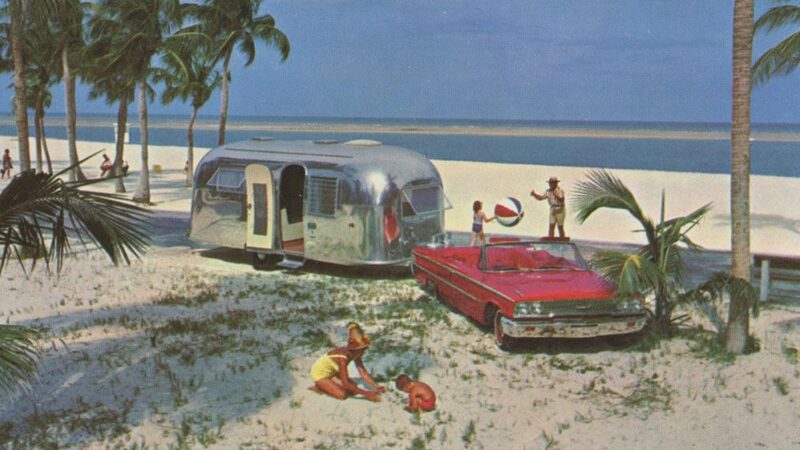 And it’s all designed to last for a lifetime. 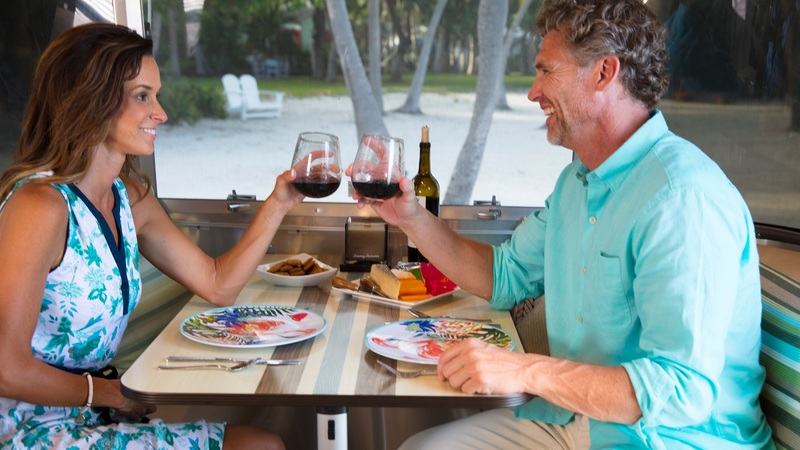 Step inside the Relax Edition and you’ll instantly want to invite your friends along with you. 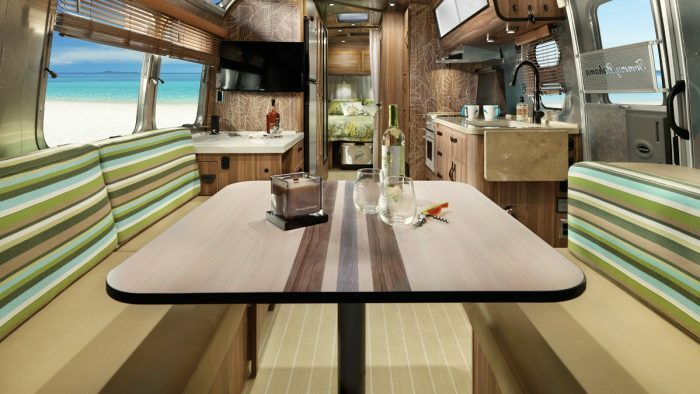 Built-in bars are part of the design, a rear hatch brings the outside in, and the sound system and TVs keep everyone entertained. 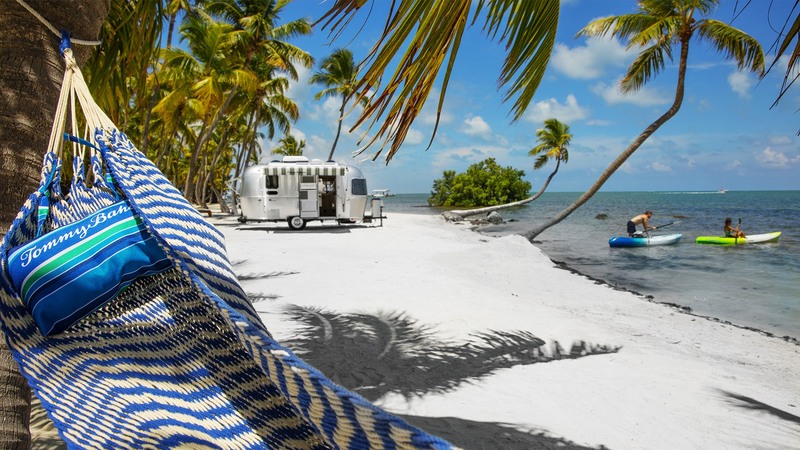 It’s the ultimate beach party venue that travels along wherever you go. 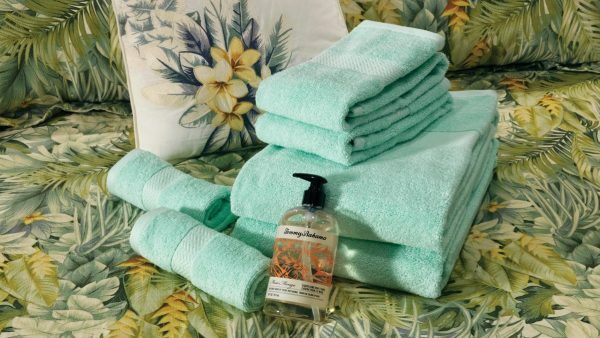 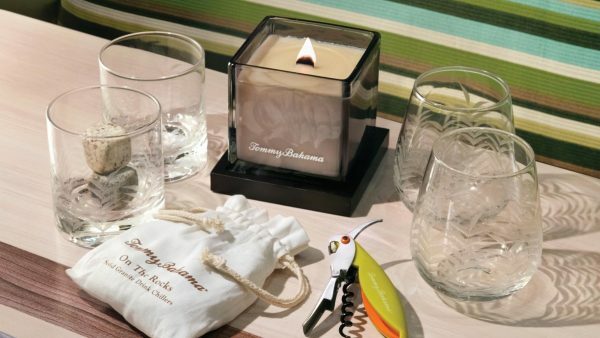 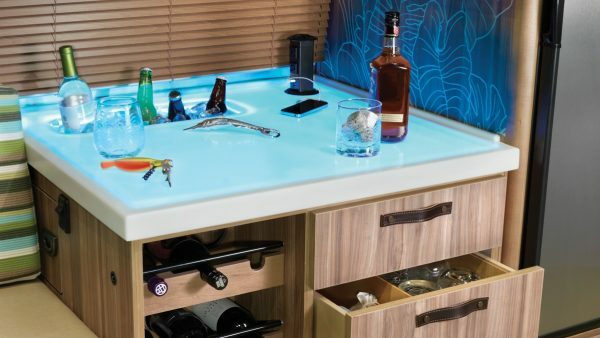 An exclusive Tommy Bahama Accessory Kit comes with every Relax Edition travel trailer. 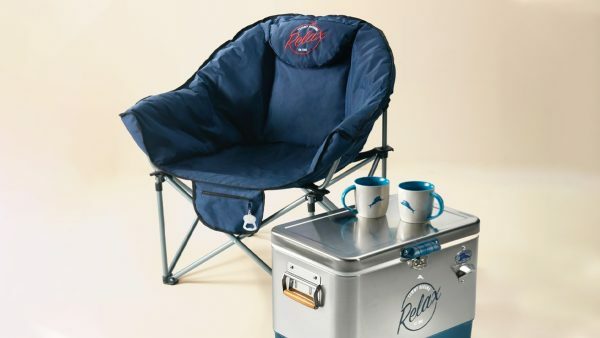 You get two oversized outdoor lounge chairs, a cooler, towels, candles, glassware, barware, and more. 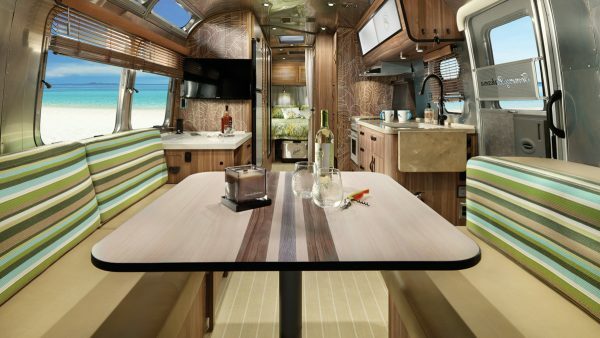 Each item has a thoughtful place inside the trailer. 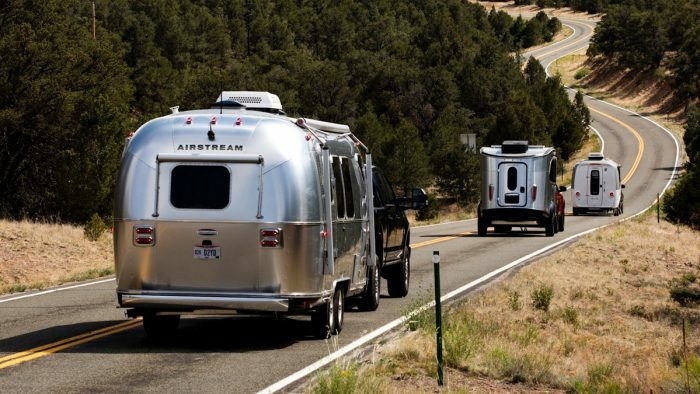 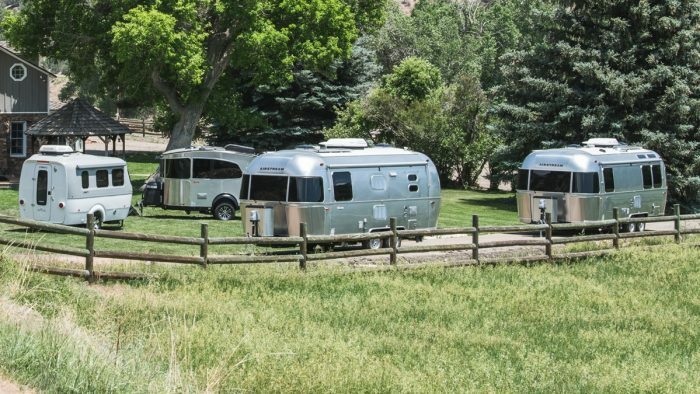 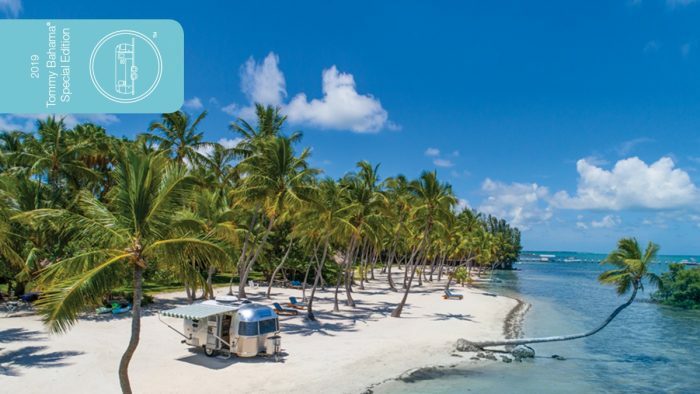 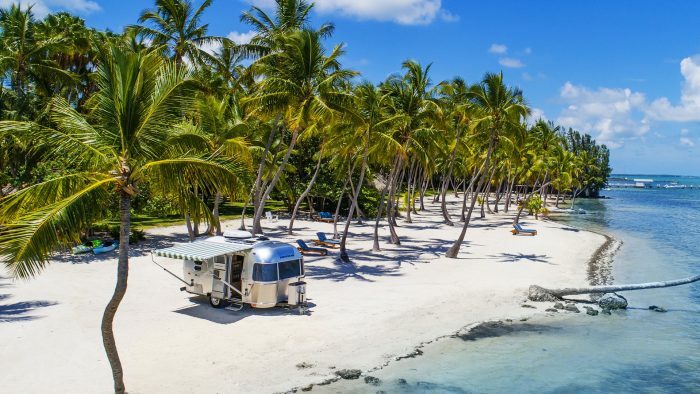 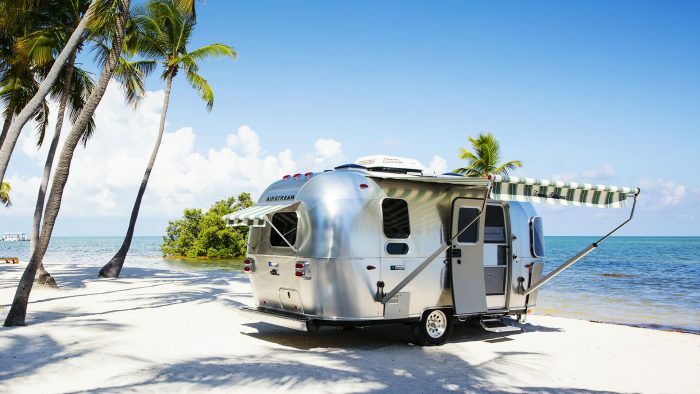 The Airstream Tommy Bahama Experience: What if your only destination was relaxation?